Does your system have a circulator pump? If it is that old it might be gravity flow. 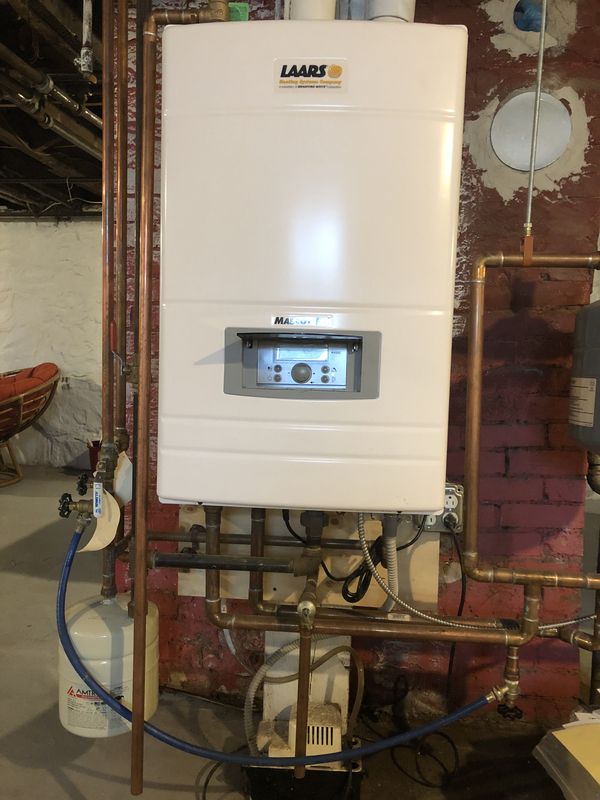 Can you post pictures of the boiler and piping? Yes, I should add that the circulator pump was making a grinding sound, but that has stopped over the last couple days. 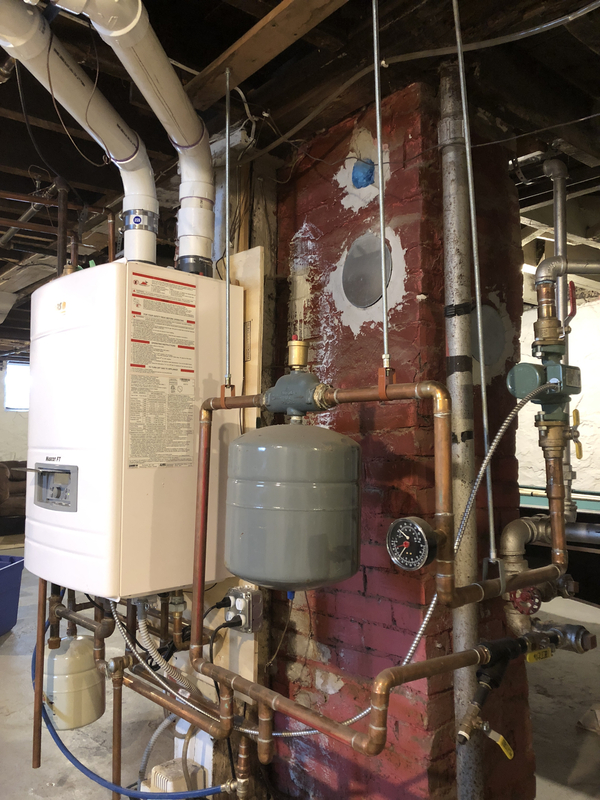 The boiler was installed about six months ago, and is a combination hot water and hot water heater boiler. When the pump started making the sound, I ordered a new one online and it just arrived, although I didn’t want to replace it unless I had to. 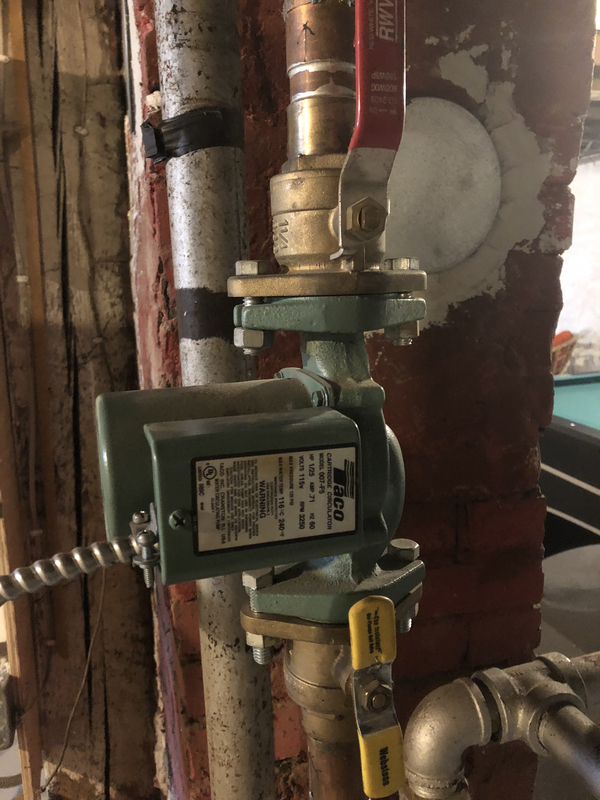 You can see that the shut off valves would make the switch out pretty easy hopefully if you think that’s the issue. I’ll post photos in the next post. Thanks. I’ve also included a photo of the pipe, the heat stops just beyond the T and if you were to feel the piping as it goes toward the window, that’s where it gets cold. When I put my hand on the pipe, it feels like there’s water flowing through it, but it also seems like either something in the Way, or the pump isn’t strong enough to get the water out to that point. This is the farthest away from the boiler the piping is, and it feeds three large radiators at the front of the house. It sounds like the pump is shot. 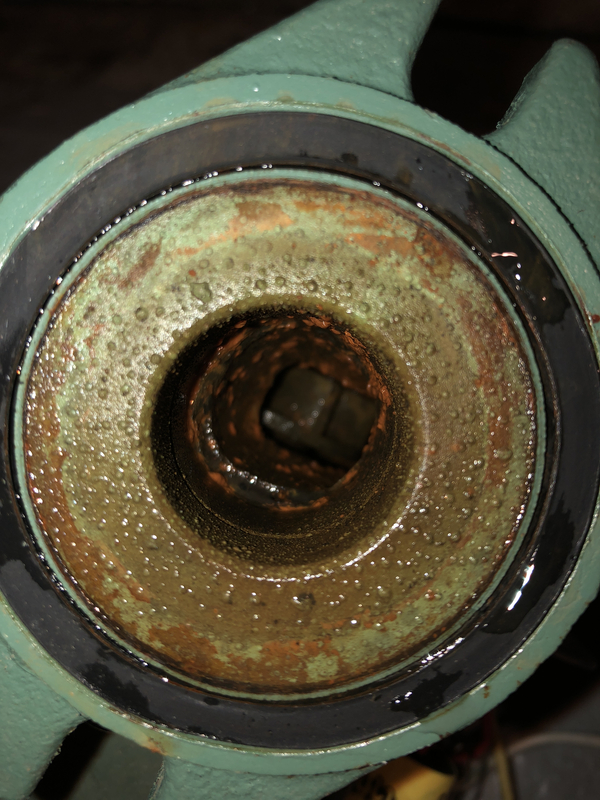 You have isolation valves, removing the pump and checking if the impeller is spinning is a piece of cake. Thanks, if the pump is shot, does the boiler have a small pump it inside it as well, I’m not used to boilers. I guess I’m just wondering if the pump is shot ...but the boiler is moving water enough just to reach some of the radiators. But I can switch it out, and let you know how it goes after that. Please feel free to comment more if you’d like, I won’t get to the pump switch until later today. Thanks again. Thanks for the suggestion to switch out the pump, this is what I’ve discovered. You can see in the photo the old versus new circulator pump. If you look closely you can see the impeller lodged inside of the old circulator pump. 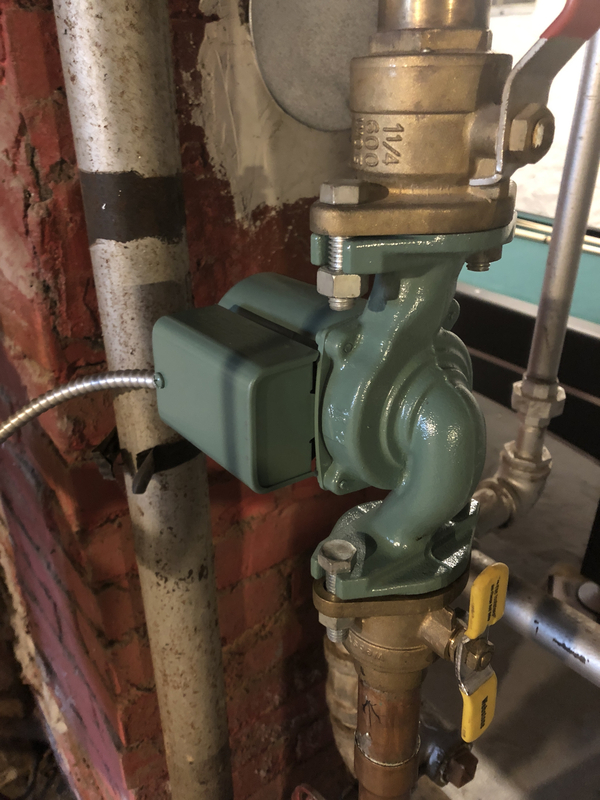 Because the pump had shut off valves on either side of it, I was able to do it by turning a few wrenches, and also connecting the electrical. I wouldn’t have attempted this had there not been shut off valves there, I would’ve called a plumber. Of course I bumped one of the shut off’s with my elbow when I was doing this and gave myself a nice hot shower. I’ll post again here in a day or two and let you know how the whole system is functioning with the new pump. Maybe my experience here can help someone else that’s having a similar problem in the future. Thanks again. 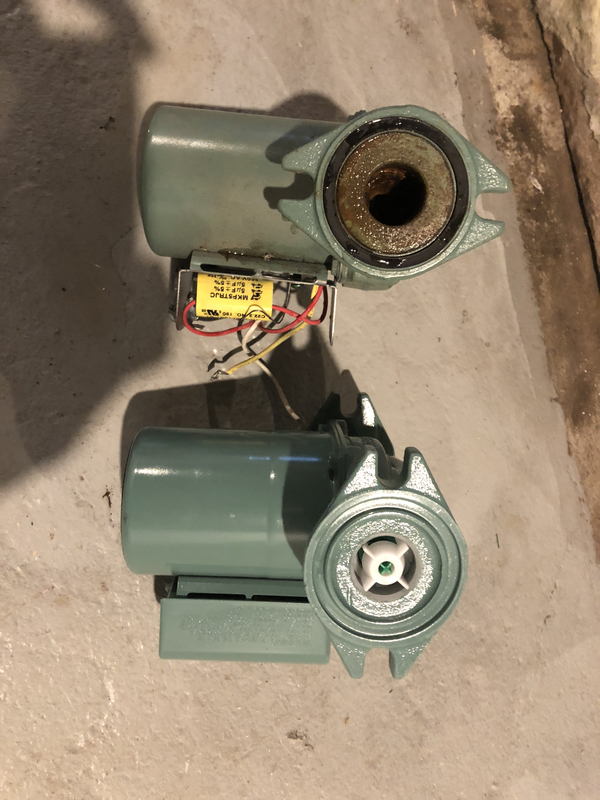 Here’s a photo of the pump that wasn’t working, and the new pump. I replaced it with the same make and model, making sure the water flow arrows were going the correct way. Are you thinking it should be orientated the other way though? Is that an efficiency thing?That’s something I wouldn’t be able to do. Just let me know, so far the heat is circulating through the house pretty well. This pump was installed along with a new boiler by a local plumbing company, FYI. Thanks again. Here’s the info sheet for the new pump. 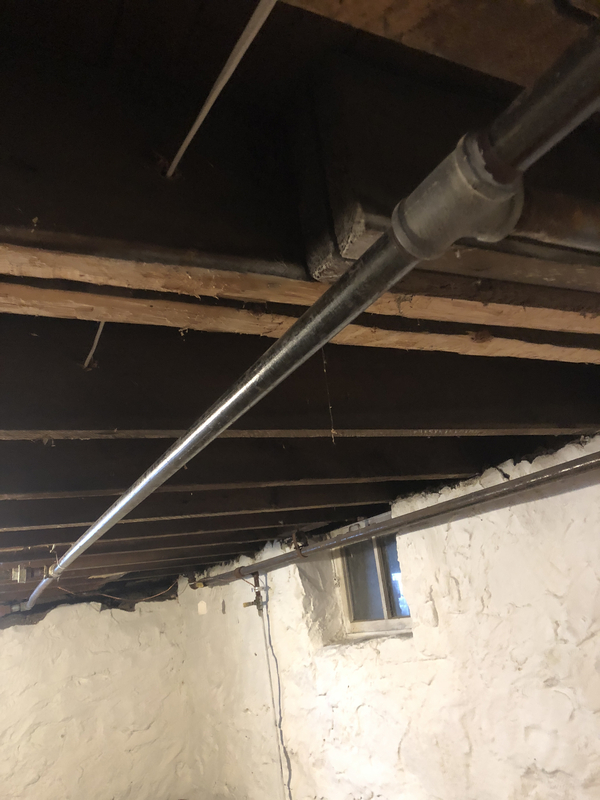 Is it ok to be vertical as long as the water pressure is 20-25? Could that pipe have frozen and is now thawed out? A six month old pump might have warranty? What I was suggesting was to test the old pump after removal by briefly sending power to it and seeing if the motor spins the impeller. It sounds like you aren't getting circulation but it could be a control problem, no power to the pump. If it still doesn't work you can still try to check operation of the pump using this method of you don't have a voltmeter.